In the mid 1980s, Honda's top engine in the Civic was the DOHC ZC delivering 130ps and redlining at a high 7200rpm. This engine powered the top Honda Civic models; the EF6 & EF7 Civic/CRX Si. In 1989, Honda invented VTEC, implementing it first in the DA6 Integra RSi & XSi in April and followed by the EF8/EF9 CRX/Civic SiR towards the end of that year. Honda continuously refined VTEC and migrated it to other engines and one of the first benefactors was the D15B. The D15B has always been in the shadow of its larger, more powerful 1.6l brothers. 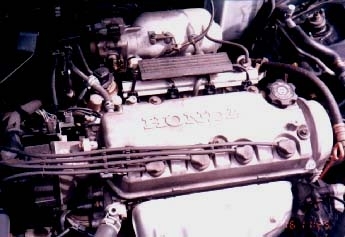 When the DOHC ZC was the top engine, the D15B came in both single and double carb'ed SOHC versions, the dual-carb version delivering as high as 105ps in the CRX 15X. When VTEC became available, two versions of VTEC D15Bs were developed for the EG-series (1991-1995) Civic. One is the well-knowned VTEC-E which delivered an incredible 20+km/l mileage. The other is the VTEC D15B, a power implementation. The VTEC D15B is a very significant engine variant because Honda used VTEC to make it possible to generate as much power as a DOHC design from its SOHC configuration. Thus the VTEC-D15B generates 130ps and redlines at 7200rpm, ably replacing the DOHC ZC design despite having 100cc less displacement and one cam-shaft less ! 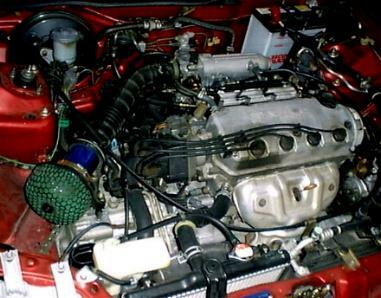 Also frequently overlooked is the fact that with 130ps from 1.5l, the specific output of the VTEC D15B is 87ps/l which actually compares favourably with the larger capacity DOHC VTEC designs such as the BB1 Prelude's H22A. The specific output of the VTEC D15B is in fact higher than the 190ps version of the H22A used on the previous generation Accord SiR ! 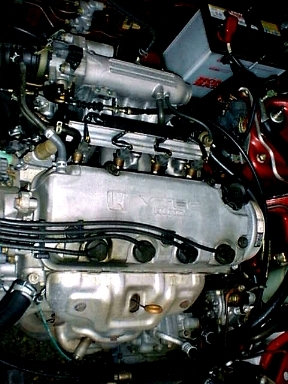 For the 1995 EK3 Civic, the evolution of the D15B culminated in the now famous 3-stage VTEC implementation, a merging of the earlier VTEC-E and power-VTEC variants. Thus we now finally get power and economy in one great engine; incredible as it seems, on the 3-stage VTEC D15B, Honda actually delivered the best of both worlds. Although a great car, the Civic SiR is unfortunately not always a totally practical one. 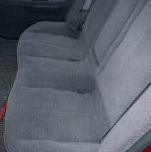 For one thing, it is a strict 4-seater, the rear seats being bucket-types. This is especially important on the Ferio 4-door, as the willingness to accept the compromise for a sports-sedan instead of the 3-door super-hatch often also meant a need to carry 5 persons in the car. The much higher performance from the B16A also meant the SiR was tuned for pure performance, with correspondingly stiff suspension, poorer fuel economy and more importantly very high gear-ratios. In the automatic versions, the use of only 4-gears gave rise to over-pronounced engine braking - even in 4th gear. This gives a need to constantly keep the foot on the throttle even during high speed crusing and in turn makes long-distance driving tiring. All these characteristics can conflict with the demands of the more regular driver, one who although recognizing and values the potential of a highly spec'ed performance engine nevertheless needs to put useability on a higher priority. Thus there is always a need for a 'second-ranked' model of the Civic, one which offers higher practicality and a more docile character. This second-from-the-top 'executive' Civic has always been powered by a D15B engine. 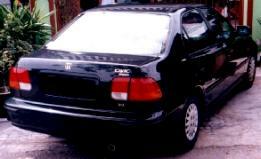 With the advent of the B16A-powered SiR, the obvious candidate would have been the DOHC ZC but the evolution of the VTEC-D15B and its ability to deliver the same power in a simpler and more compact design enabled it to take the place of the larger capacity ZC in the main-stream Civic range. D15B-powered Civics are the most popular variants of the Civic range because they offer good performance as well as great practicality and VTEC D15B versions are the cream. Being the 2nd ranked model, they are also significantly cheaper than the top-ranked Civic SiR and are very well-equipped. In the previous EG-generation, the VTEC-D15B powered the 3-door EG4 VTi and the 4-door EG8 Ferio VTi. EG4 and EG8s are true 5-seaters with suspensions designed for soft and comfortable rides. 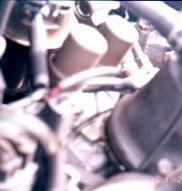 The VTEC-D15B engine is a 16-valve SOHC design with a displacement of 1493cc and uses the PGM-Fi fuel injection system. It develops a high 130ps at 6800rpm with max torque of 14.1kgm at 5200rpm. With the manual transmission, the VTEC-D15B uses a 4.25 final drive ratio with 1st and 2nd gear ratios of 3.25 and 1.9 respectively. These are actually very high gear ratios and helps give manual EG4 & EG8 a preppy performance. The automatic version uses the same final drive and 1st gear ratios as the automatic B16A but uses more docile ratios from 2nd gear onwards giving automatic EG4 & EG8s a relaxing long distance cruising characteristic. Don't let the SOHC configuration fool you, the tach red-lines at very high 7200rpm and the effect of the wild-cam is obvious when VTEC cuts in. While the pull is not as maniacal as the B16A, the increased urge of the engine can still be clearly felt. One feature of the D15B often misunderstood due to its SOHC configuration is that being a power-VTEC implementation, the engine is designed for high air-flow and very high rpm operation. Thus while the capacity is only 1493cc, the tuning potential of the VTEC-D15B could in fact be high. In later articles in 'Beyond Stock', I hope to take a look at the potential for upgrading the power of the D15B by using simple drop-in mods. The photos in this section are taken of two different D15B powered Civics. The EG4 on the left is an earlier production model with the photo of its D15B engine above. 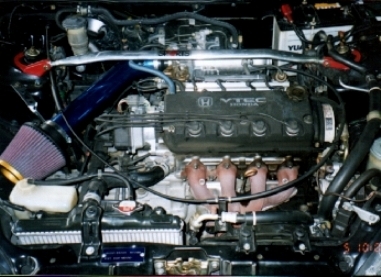 Earlier versions of the VTEC-D15B uses the attractive crinkled black 'VTEC' valve cover. They have the same specs as the later production VTEC-D15Bs. The car is manual and the owner has some minor engine mods, the most noticeable being the Akimoto style air-intake. The header is stock, the owner opting to simply remove the heat shield to reveal the 4-2-1 design. Unfortunately as with most stock headers, the surface has well rusted. The metal intake tube is a local custom design, marketed for use with both the EG4/EG8 as well as the EG6/EG9s. The red EG8 is a friend's car. This is a late production (1995) model and the valve cover is now plain metal though still with the 'VTEC' word. The EG8 is plain stock except for the use of Eibach Pro-Kits and a HKS Super-Power-Flow air-filter (on the original plastic intake tube). Without the benefit of the resonator box, VTEC's wonderful vocal song was very obvious in this car indeed. For the EK-generation Civics, development on the D15B engine finally culminated in the now famous 3-stage VTEC D15B. This engine is used on the current generation EK3 VTi and Ferio Vi. 3-Stage VTEC D15B is a wonder engine in that Honda took the technologies of the VTEC-E and VTEC-D15B engines and merged them into one single engine. This implementation, already covered elsewhere in TOVA, allowed Honda to give us an engine that is both economical and powerful. So, who says we can't have our cake and eat it too ? EK3s with manual transmission have final drives of 4.058 with 1st & 2nd gear ratios of 3.250 and 1.782 respectively. Manual Ek3s have been clocked to do the standing 100kmh dash in low-9s, faster in fact than an automatic transmission EG9 or EK4 B16A Civic. The automatic EK3 is also the model to benefit from Honda's next greatest invention after VTEC; the new wonder-CVT MULTIMATIC (MMT) transmission. MMT's most powerful strength is the flexibility of a CVT gearbox coupled with the ability to work the high 130ps power of the 3-stage VTEC D15B engine. On smaller displacement engines below 2.0l, the use of an automatic transmission with its high power loss and slippage often meant a big compromise in performance. But the Multimatic transmission changed all that. It uses a continous range of gear ratios from 2.466 to 0.449 with a final drive of 5.809. This allows MMT to use the highest possible gear ratio to suit the current engine rpm which in turn guarantees the best acceleration at all time giving the MMT EK3 an extremely preppy performance. The MMT EK3 easily surprises unsuspecting passengers with its very good torque at all sensible speeds, often leading them to think the engine is larger in capacity - 1.8l or even 2.0l ! The 3-stage VTEC D15B represents the pinnacle of development on the D15B engine. From the same configuration as the previous generation VTEC D15B; 1493cc SOHC PGM-Fi but now with the 3-stage VTEC system; it generates the same 130ps at a higher 7000rpm with a max torque of 14.2kgm at 5300rpm. The amazing thing is that now it also offers an incredible 30km/l mileage ! In the flesh, the 3-stage VTEC D15B is a sleeper. The valve cover does not have any 'VTEC' wording and only the sharp eyed will recognize the engine as VTEC by noting the VTEC switches (yes, two of them) located on top of the intake runners and the high 7200rpm red-line of the tach. The 3-stage VTEC engine runs in 12-valve mode up to around 3000rpm. In this range, running in ideal conditions will activate the 'lean-burn' mode, where air-fuel ratios as high as 20:1 can be used to take advantage of the intake swirl induced by the 12-valve operation. 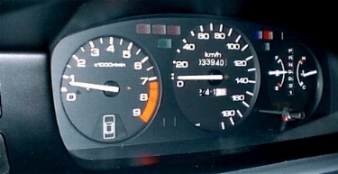 This lean-burn mode is what makes the 30km/l mileage (for constant 60kmh speed) possible. A green 'ECONO' LED lights up on the dash when lean-burn mode is engaged. From around 3000rpm up to about 6000rpm, the first VTEC actuator switch engages and the previously inactive intake valve now goes into operation. The engine now runs in 16-valve mode behaves just like any of Honda's highly spec'ed 16valve PGM-Fi engines. After 6000rpm the second VTEC actuator switch engages the wild cam/rocker arm pair for the intake valves. This switches the engine into the wild-cam mode where it goes bonkers delivering 130ps at 7000rpm. With the proper driving style, one can actually enjoy mileage as high as 16 or 18km/l in town driving while at the same time frequently indulging in VTEC-inspired sprints to overtake slower vehicles. Used with the Multimatic transmission, the EK3 can frequently shock vehicles with larger capacity engines, literally leaving the arrogant tail-gaters for dead when accelerating from medium speeds. When WOT is engaged, engine revs immediately shoots up, with Multimatic maintaining the appropriate gear ratio to keep the car at about the same speed. When engine revs finally peaks at 7200rpm, Multimatic would have engaged the highest possible gear ratio for the speed the car is travelling at. 7200rpm is now maintained as the car picks up speed and it is the gear ratio which will be continously varied according to the car's speed. Thus Multimatic guarantees the highest possible acceleration from any suitable starting speed (typically from 50kmh onwards) and maintains this condition right up to the car's artificial, soft speed limiter at around 180kph. The EK3 with the 3-stage VTEC D15B and either a manual or the Multimatic transmission remains at the pinacle of today's medium sized executive sedan. 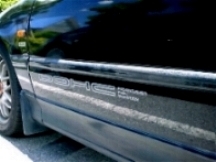 Building on the strength of the earlier EG4/EG8, it really do offer the previously impossible goal of fine fuel economy with good power and preppy performance especially with the Multimatic transmission. Ride quality and handling are also a order of magnitude better with safety and interior room being excellent. Given what Honda has achieved with the EK3, the next incarnation of this top-level 'executive' Civic sedan is going to be a very interesting proposition indeed.